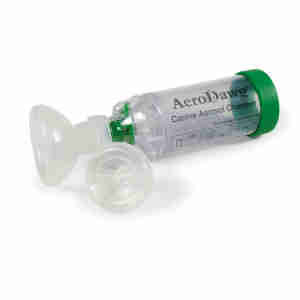 With the AeroDawg Canine Aerosol Chamber (CAC) inhaled corticosteroid medications can now be delivered effectively to dogs. The aerosol approach facilitates the delivery of medications from the MDI (puffer) to the lungs and provides a therapeutic dose while greatly minimizing the risk of side-effects. Sorry maar er zijn geen beoordelingen van dit product.